Mr Henry Antoine Nicolas Sebastian and Ms Fauzita Bte Ismail were commended for assisting the police in two separate cases. They were awarded the public-spiritedness award in a ceremony held at Clementi Police Division on Dec 7. On Nov 4, when Mr Henry was at the Skywalk in Sentosa, he saw a teenager, who appeared to be in distress, sitting dangerously on a fire hose container on a ledge. Mr Henry approached him and swiftly pulled him to safety, holding onto him until help arrived. 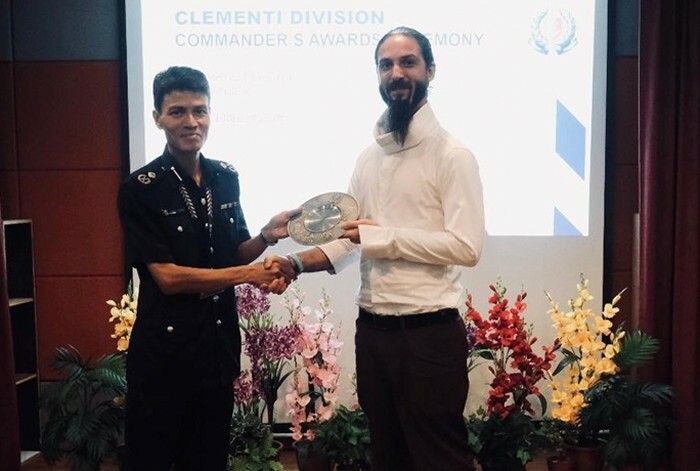 Mr Henry Antoine Nicolas Sebastien being awarded the public-spiritedness award by AC of police Jarrod Pereira, Commander of Clementi Police Division. Separately, Ms Fauzita, who is the security in-charge at IMM, assisted the police in a case of theft that took place in the mall on Oct 21. She provided crucial information to them, which led to the arrest of the subject. Ms Fauzita Bte Ismail being awarded the public-spiritedness award by AC of police Jarrod Pereira, Commander of Clementi Police Division. 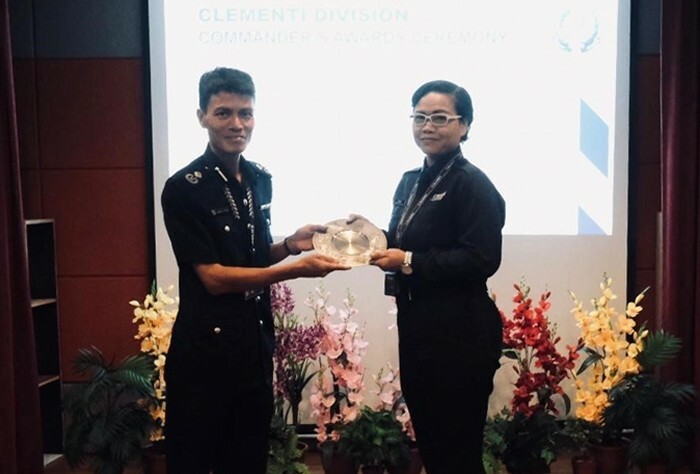 Assistant Commissioner (AC) of police Jarrod Pereira, Commander of Clementi Police Division said: “The police cannot fight crime alone and we are truly grateful for the continuous support from the public.